Vince Guaraldi’s piano stylings … Lucy pining for real estate … Charlie Brown dropping knowledge on the Peanuts, in spite of himself. 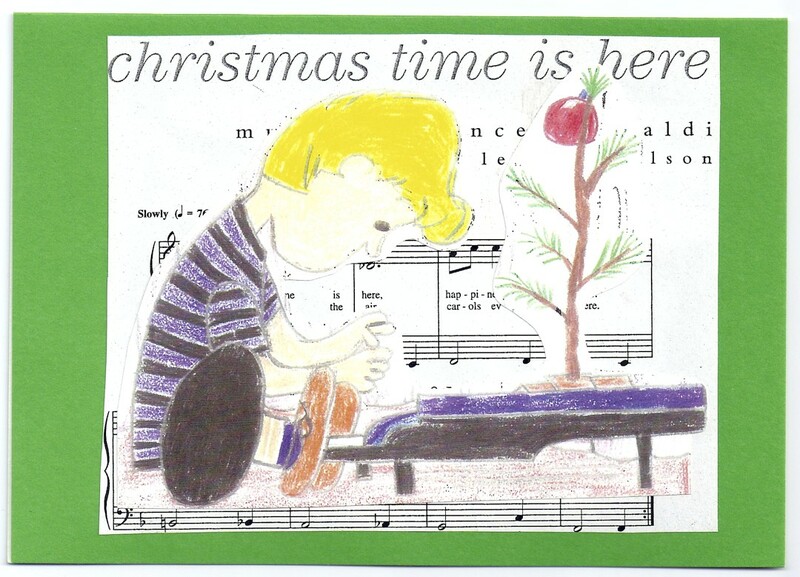 Lots of “kids stuff” gets better and more meaningful with age, but none more so than “A Charlie Brown Christmas”, the inspiration for the very cut-and-pasted second card ever. Yeah for Custom Cards. Glad I saved them all.